Galaxy Peach (Saucer Peach, Peento Peach, Pen Tao) - Prunus Persica sp. Galaxy Peach - Prunus persica sp. 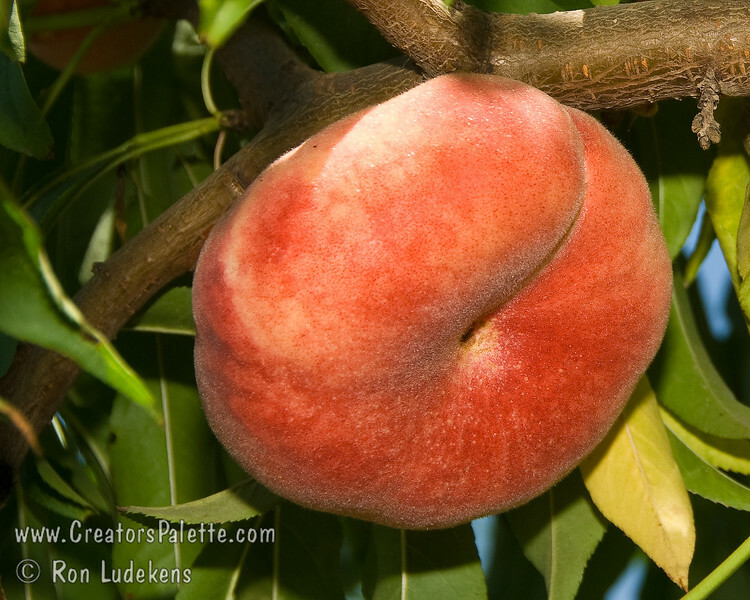 Nicknamed "Bagel Peach" for its shape and size. Sweet tasting, white fleshed peach with an amusing, flat shape - looking something like a bagel. Delightful, delicate aroma; light-cream skin accented with red blush. Similar to Donut/Saturn Peach except larger. Ripens: Late June.